For the summer I am going to ride a new area every Saturday in Washington in search of new venues for the Ride For A Warrior Dice Ride and Raffles until the next event on Sept 15 and 16 near Ellensburg. This weekend is was Conconully. Conconully allows all ohv's to ride in the city and out to the trail systems. The trail systems are great for UTV's,Quad's and dual sport bikes. There is very little single track but what there is is awesome! They have a fantastic state park with air conditioned cabin rentals on the lake,50c showers and all the other facilities you would expect from a well maintained state park. Down town is across the street from the park. There is also other lodging available in and near the town. Next Saturday will be the Wenas green dot system near Naches. I will be staging from Barbeque Flats. Recommendations of other areas would be appreciated. You in for sure? I don't usually do big group rides but I think I can make this one. This looks like a great duel sport area. Looking at a map i see there are a series of forest service roads that would take you south towards Twisp and Winthrop. Looks like it would be a 40 plus mile ride on forest service roads to Winthrop. Having hunted in the hills north between twisp and winthrop,i know what a cool area this is. Another great thing is that you could stop for lunch in winthrop. Three finger jacks has decent food and a cold beverage both alcoholic and non alcoholic, if you choose. Jacks has a family area, so if you have a child who has his/her endorsement but is not 21 then you can sit in the family area. There is a gas station not far from jacks that might be a chevron for those who might have fuel issues. If i remember right that gas station might have ethanol free fuel. Great easy forest service ride that the significant other would enjoy. There are some dead end roads that lead to some peaks that have very scenic views of the methow valley. Wild life is abundant in the area. Mostly coyotes and deer. This is a very popular deer hunting area, so the forest will be full of hunters from the middle of October, to about November first. Plus as you move towards November you have a chance for snow, there are some years like last that this area gets a fare amount of snow during the winter. Setting up a 2 day ride that had a duel sport option and a trail option would be a lot of fun. It would give people a choice and something different each day to ride if they choose to. Conconully is a place close to my heart. Buried my granddad there last year in a relatively unnoticeable cemetery. It was a place he treasured as my great grandfather had driven cattle over the pass from there. Both of those men were complex, and in many ways I strive to be not like them, but they sure were tough! I really liked the snowmobile trails/un maintained forest service roads. I am sure there is more single track. I had a blast exploring and it was so cool to ride into town eat,gas up and go again the come back to the park,shower and relax! The town has only had one official OHV event. That place looks like it has great potential for one of my charity rides. 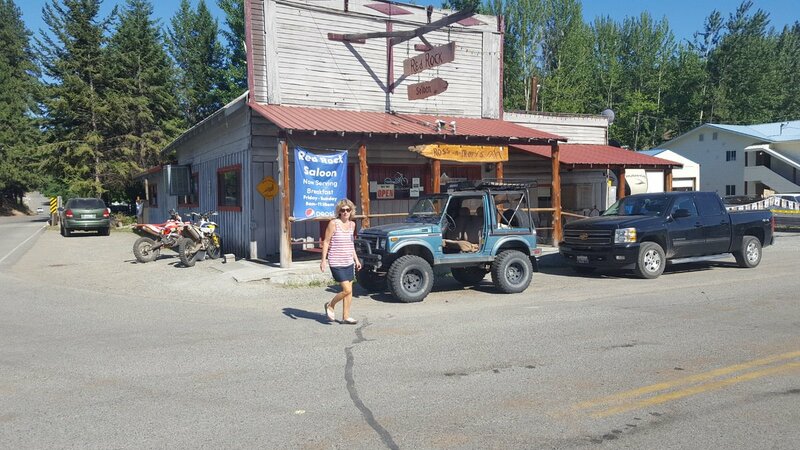 They are having a ATV jamboree starting July 17th. Looks like all ohv's can ride in and out of town. Have you ever been to the jamboree? If you are in town before or after the ride let me know. I can play guide around some of the other trails. I have not ever done the cranky gulch/Wallace ride but it looks fun. I just have a hard time sticking to other people's schedules. I'm pretty task oriented when riding and big groups usually come with big bs sessions. I'd be there. Get In Touch with Pantra. Also make sure you check out bates Gould riding system and the radar dome while over there. If it works out I could guide you as I am over there every 4-6 weeks. I haven't. I usually head east rather than north. A great map for this area and others in the neighboring areas is the "Yakima county recreation guide". Think I bought it at whistling jacks. Of note, something I'd missed is a long single track trail called the Gray Rock Trail. Starts at a recreational site known as Tree Phones. Norsepeak mentioned this to me last we met. I anticipate riding the area a fair bit during my motocation I am presently on and ending July 16. Please be sure to publicize every cool little off the radar area you discover. Before you know it there will be lots of whoops and stutter bumps for us all to enjoy! Is there single track near Wallace? folks bitchen about Batey? What about?